The Silver British Britannia Coin program is relatively young in the bullion coin market, and has undergone a variety of changes in its short history. This year is no exception as the portrait of Queen Elizabeth II is updated for the first time in almost 20 years to reflect the current age of Britain’s longest serving monarch. 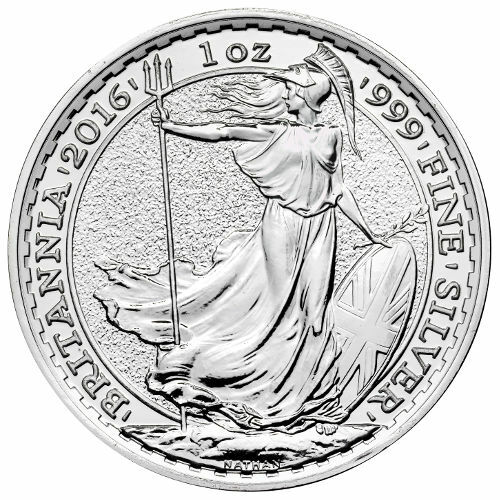 Right now, Silver.com offers the 2016 1 oz Silver British Britannia Coin in BU condition. Ships in a protective plastic flip, mint tubes of 25, or mint boxes of 500. Bears a face value of £2 (GBP) backed by the United Kingdom’s government. Features the image of Britannia on the reverse. All-new portrait of Her Majesty Queen Elizabeth II on the obverse. Britannia’s image has been in use on British coins since the 1700s. Her likeness first appeared on a sovereign coin issued throughout England, Wales, Scotland, and Ireland following the formation of a modern United Kingdom in 1705. Britannia’s roots go back further than that period though, stretching all the way to the occupation of the British Isles by the Roman Empire two-thousand years ago. The Silver British Britannia coin was first introduced in 1997 as a silver coin with a purity of .958. 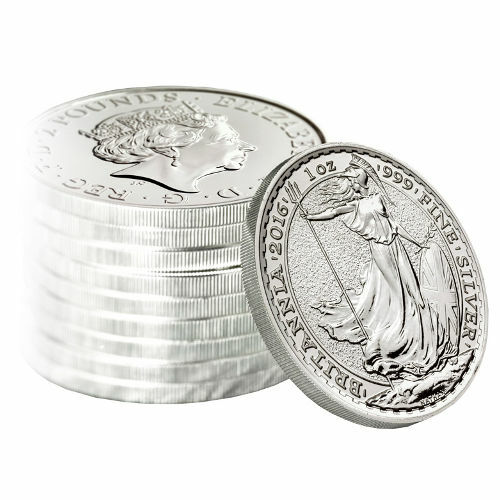 From 1997 to 2012, the Silver Britannia was a larger coin with a total mass of 32.45 grams and a diameter of 40 mm. 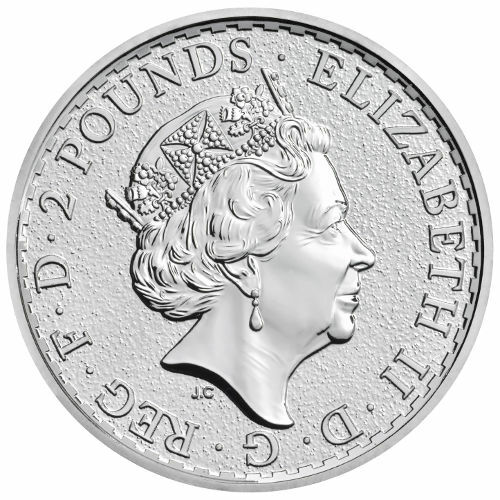 In 2013, the Royal Mint made major changes to the coin, increasing its purity to .999 silver, and shrinking both the mass and diameter to 31.21 grams and 38.61 mm, respectively. On the reverse face of the coin is an image of the guardian of the British Isles, Britannia. She is featured wearing a Corinthian helmet on her head, holding a trident in her right hand to command the seas of the English Channel, and guarding the mainland with a Union Jack-emblazoned shield. The obverse features the all-new right-profile portrait of Queen Elizabeth II. Jody Clark’s 2015 design replaces the 1998 design from Ian Rank-Broadley, and is the fifth-generation portrait of Her Majesty to appear on British coinage. Each of these Royal Mint coins is in Brilliant Uncirculated condition, meaning you’ll find no signs of wear and tear, though you may notice breaks in the luster or spotted surfaces. If you have questions, please contact Silver.com at 888-989-7223, chat with us online, or send an email with your question. 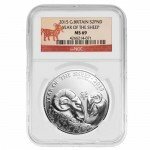 If you are interested in similar products, be sure to check out our full selection of Silver British Coins.